Guest Post by BP Creative Group, a Nonprofit Connect Business Member. Check out BP Creative Group's Blog for more event planning tips. When pulling together the details of your fundraiser, from catering to lighting to photography, don’t forget about the cause. Sharing the reason(s) your organization is raising funds doesn’t stop at the program or presentation you have prepared for the evening. The mission of your organization, purpose of the fundraiser, and cause you are raising money for should be at the forefront of the event and intertwined into every last detail of the evening. How can you incorporate the mission of your organization into multiple aspects of your fundraiser, while still keeping the vision or theme of the event intact? 1. Accented Handmade centerpieces – Art projects crafted by the recipients of the evenings’ donations, whether they be children, seniors, or rescue animals, bring an extremely personal touch to the table décor and act as a subtle reminder for your guests throughout the evening’s activities. 2. Photos and bios of the recipients or engaging guest appearances – Tug on the heartstrings of your donors by sharing professionally taken photos and well-written stories about a select few recipients of the evening’s event. These can be placed along the entry to the event, at the guest tables, at specialty bars or displays, etc. 3. Mission-themed marketing – Your mission statement holds a lot of value when it comes to marketing. Prior to the event, create a promotional strategy that centers around the mission of your organization, sharing the mission statement with your social media followers through images, videos, and graphics. A few days after the event, send guests a heartfelt thank-you letter that reiterates the mission while celebrating the success of the event. The mission should be a jumping-off point for most, if not all, communications with potential donors so they remember who or what their money is impacting. It is important to get the message across about why your organization needs funds from your donors at multiple touchpoints throughout the event. 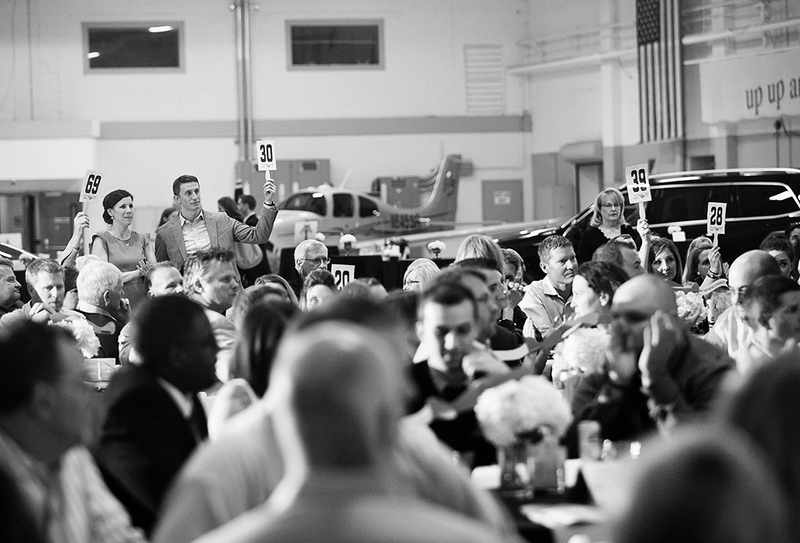 Despite the fact that all guests have spent some amount of money to attend the event, an emphasis should be placed on the mission of your organization, so they are encouraged to actively participate in silent or live auctions, raffles, and other means of additional fundraising. The mission should be actively promoted before, during, and after the event to keep the “why” behind your fundraiser at top of mind for donors.